Mayfair Place, Polygon’s collection of Georgian-inspired apartment residences in central Richmond’s Alexandra Gardens neighbourhood. 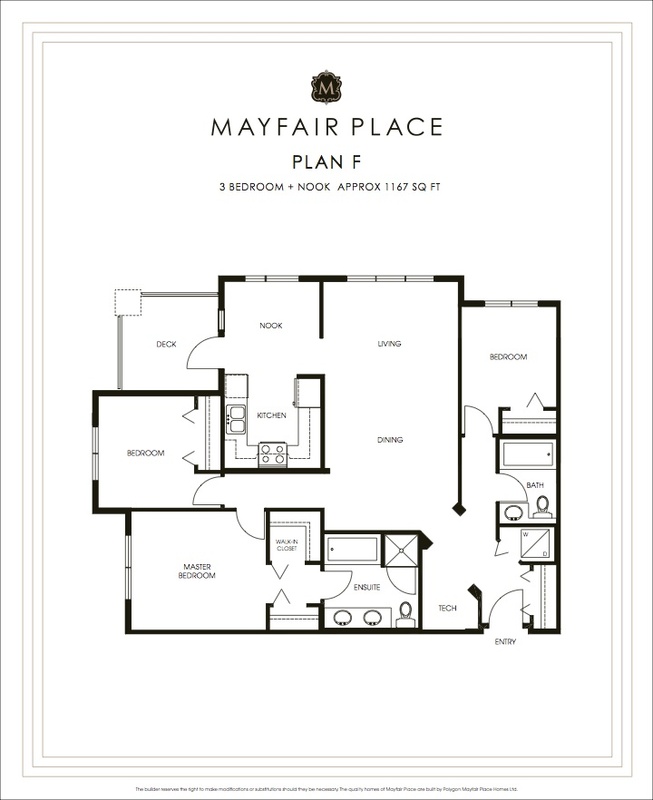 The past few months have been extremely busy at Mayfair Place with a great deal of construction and sales activity. It is exciting to see that framing and roofing is now complete at the first building along with the Mayfair Club. The second building is also well underway. To celebrate this milestone, we are pleased to let you know that we are now including HST on a wide selection of homes until the end of February! 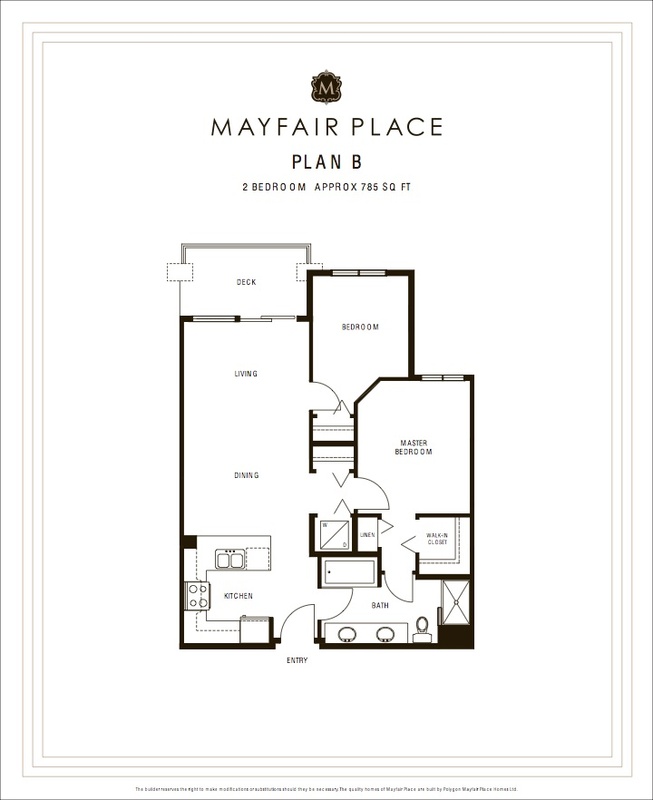 The air-conditioned one, two and three bedroom homes at Mayfair Place showcase the latest contemporary finishes and thoughtful details, including nine-foot ceilings that enhance your decor. Other impressive features include superbly fitted gourmet kitchens, spa-inspired ensuites and warm wood-style laminate flooring in living areas to name just a few. 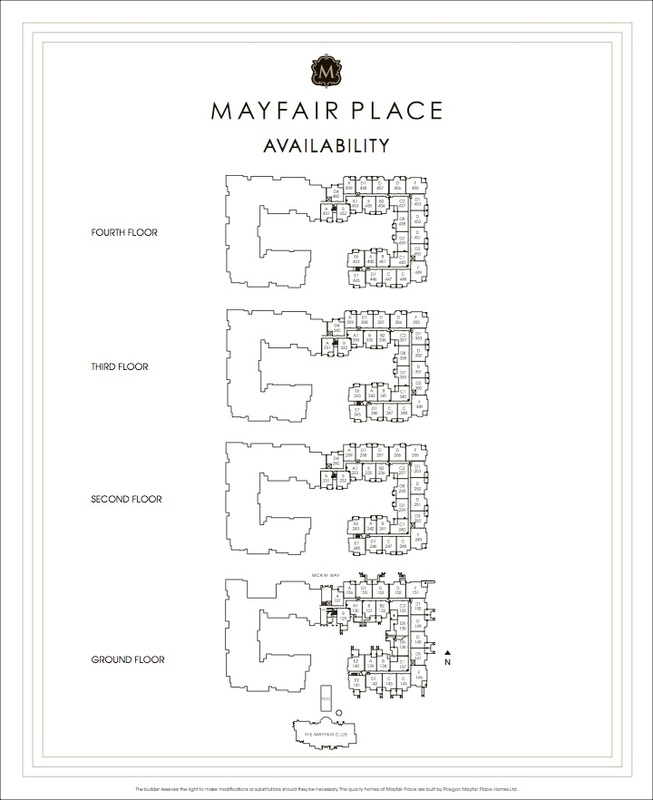 Each home also comes with an exclusive membership to the Mayfair Club, a private residents-only clubhouse complete with an excellent array of amenities such as an outdoor pool and Jacuzzi, fully-equipped fitness studio, billiards lounge and movie-screening room. Priced from $339,900. 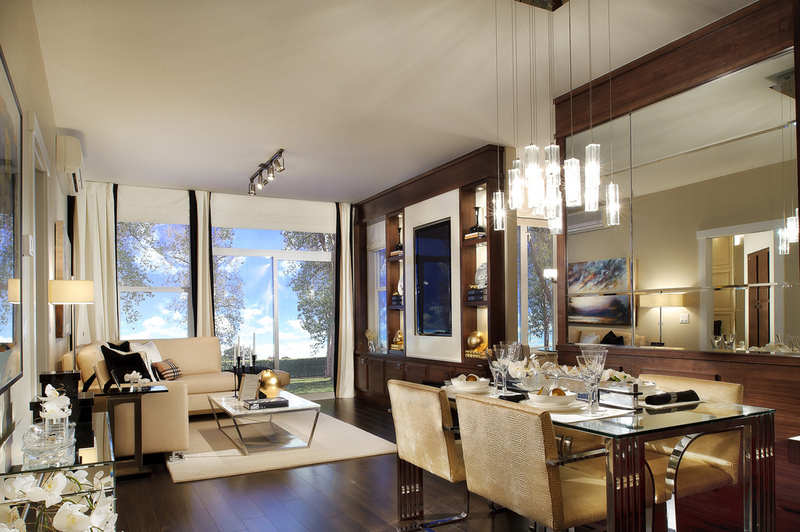 Discover a privileged community rich in style. Welcome to Mayfair Place — Polygon’s Georgian-inspired apartment homes in central Richmond’s Alexandra Gardens neighbourhood. This sought-after neighbourhood will soon be flanked by new parks, greenways and village-style shops, while being just minutes from the hundreds of restaurants and boutiques in the city’s dynamic core. There is also excellent access to top-ranking schools, community amenities and local transit, and commuting to Vancouver will take only minutes. 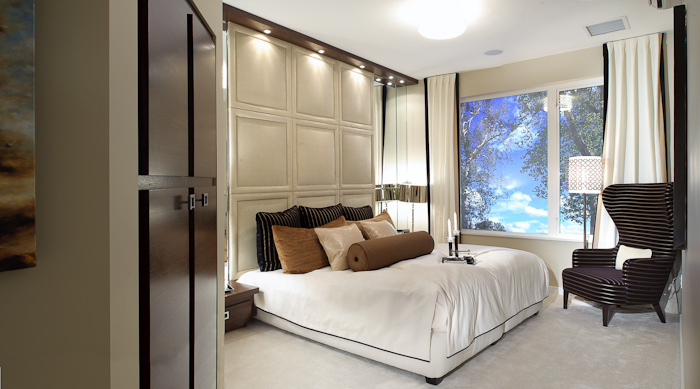 The distinguished two-bedroom homes at Mayfair Place are inspired by the classic charm of Georgian-style row houses. The striking architecture impresses with the lasting appeal of traditional brick exteriors and a gatehouse at the grand entrance. Beautifully landscaped gardens and lawns provide a reprieve from the pace of the city. Inside, the air-conditioned interiors of the homes feature over-height nine foot ceilings along with the latest thoughtful details. Residents will also enjoy exclusive membership to The Mayfair Club — a spectacular 8,000 square foot private clubhouse with a host of resort-style amenities including a swimming pool and Jacuzzi. 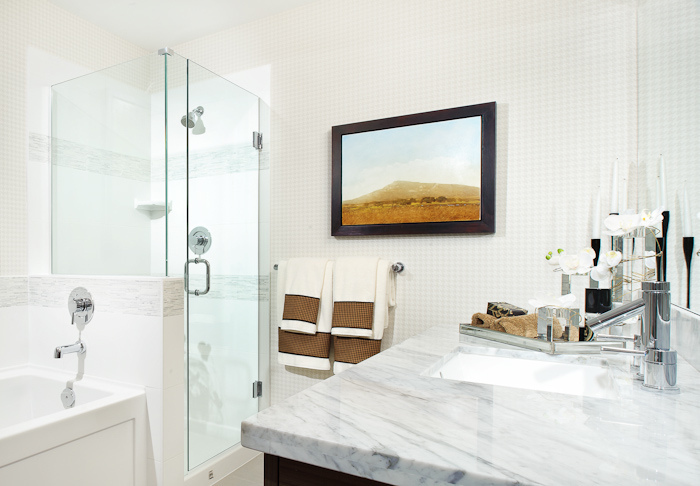 An on-site resident concierge will take care of all the fine details so you can enjoy the important things in life. If you’d like to know more about this amazing new Richmond real estate development or if you are thinking of buying or selling your home, please contact James Chung, Metro Vancouver REALTOR® at [email protected] or call ( 6 0 4 ) 7 1 9 – 6 3 2 8 today!